From chrome extensions to mobile stores and social apps. There’s no “better” approach here; apps and extensions are simply different creatures. Let’s understand apps first. They are just how they sound: applications you can run inside your browser with a dedicated user interface and, typically, rich user interaction. We’ve already had the concept of “web apps” in the browser for a few years, as something more rich and interactive than a website, but less cumbersome and monolithic than a desktop application. Examples include games, photo editors, and video players; all of these categories are viable as tightly focused apps running inside the browser. 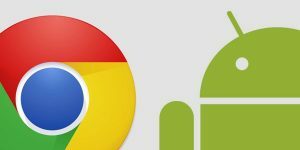 Google Chrome is just formalizing the web app concept in a way that will be familiar to anyone who’s used apps on a smartphone. How about extensions? Extensions also provide functionality, but unlike apps, there is little or no UI component. 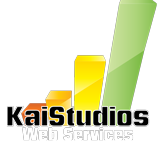 Instead, they extend the functionality of Google Chrome and the websites being viewed in it. For example, they can extend Google Chrome by adding a new button to the address bar, such as an ever-present currency converter. Buttons like this can also apply to the current website being viewed—for example, click the currency converter button to convert all prices on the website you’re viewing. Similarly, you can introduce new items to the context menu, change the behavior of the omnibox (the input field on the address bar), access the user’s browsing history (with consent), and much more. You can alter web pages too—for example, embed a “mail this” button next to every link in every page, or customize the layout of your favorite website.